This weekend, Walmart Canada is offering you awesome deals. You can save up to 80% off on baby strollers by reputable brands such as Costway, Graco and Baby Jogger. Not to mention, kids’ everyday tees are starting at $4, and many vacation wear in the vacation shop section, including swimwear, sunscreen, dresses, and shorts, are on sale! These offers are valid for a limited time only, while quantities last. 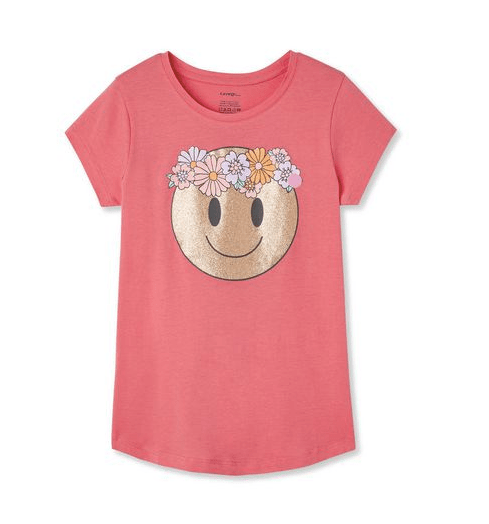 This George Girls’ Graphic Tee is only $4.00. It features 100% cotton, print on front of the shirt, and short sleeves. This 100% cotton graphic tees is 100% fun! Walmart Canada offers FREE shipping when you spend $50 or more. Click here to start shopping at Walmart Canada.